The straw was blocked by hand on wooden hat blocks. The brim edge is wired to hold its shape. The crown features a band of bright pink and burgundy grosgrain ribbons, finishing with a fan-shaped cockade of pink ribbon. 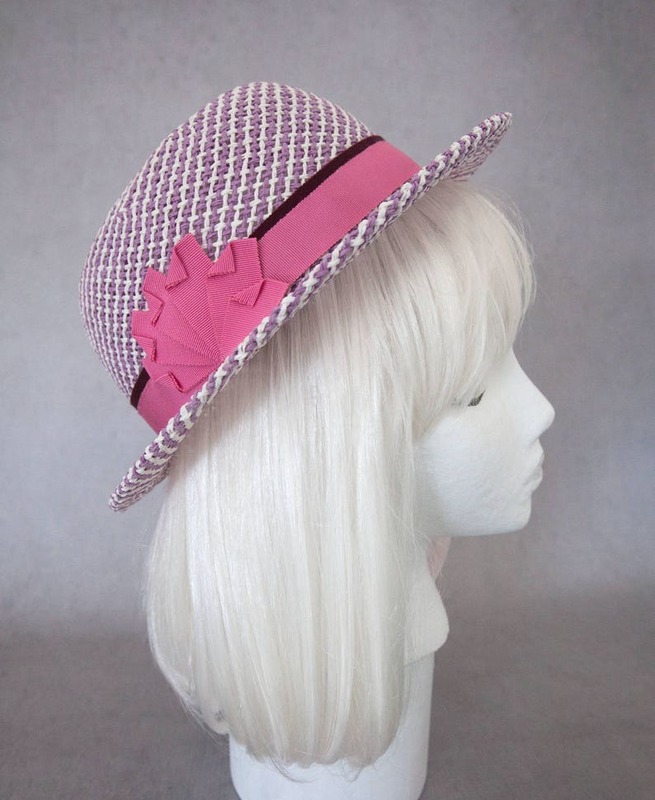 Inside is unlined and has a cotton/rayon head-size ribbon and Silverhill Creative Millinery brand label. Best fits head size of 22"-23" (average women's head size, medium). This style can be worn many different ways: straight on, tilted to the back of your head, or angled to the side. 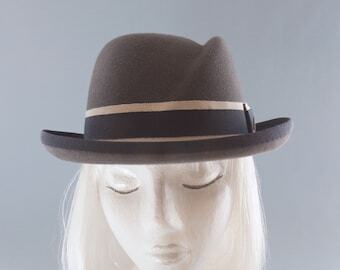 Tan Pork Pie Hat. 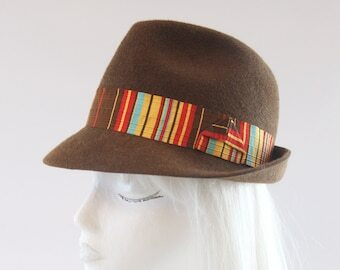 Unisex Porkpie. 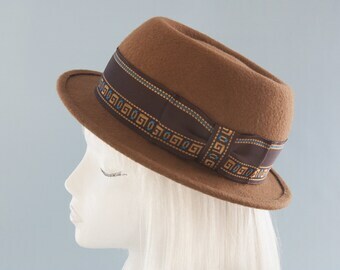 Brown Wool Felt Hat with Vintage Greek Key Ribbon. 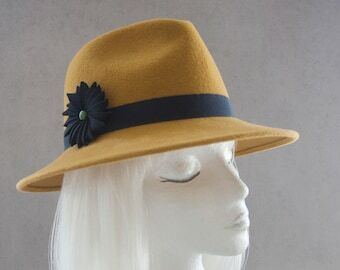 Women's Fedora Hat. Jazz Hat. 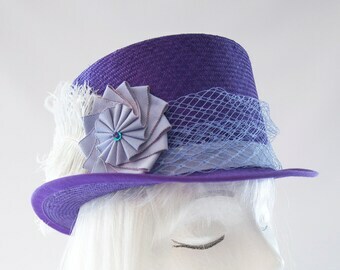 Handmade Millinery. OOAK. 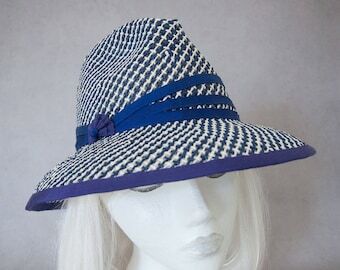 Navy Straw Sun Hat. 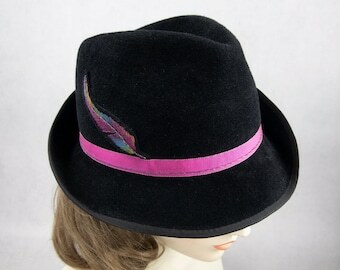 Women's Fedora. 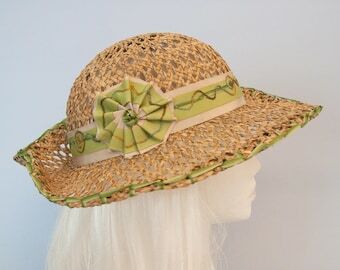 Fresh Summer Hat. Toyo Paper Straw. 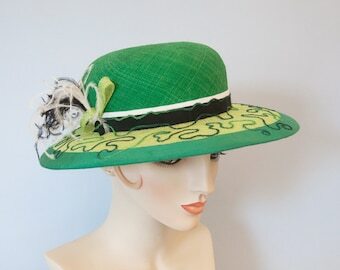 Ladies Wide Brim Hat Under 100. Beach Hat. 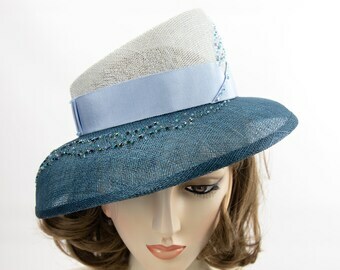 Airy Blue & White Fedora.